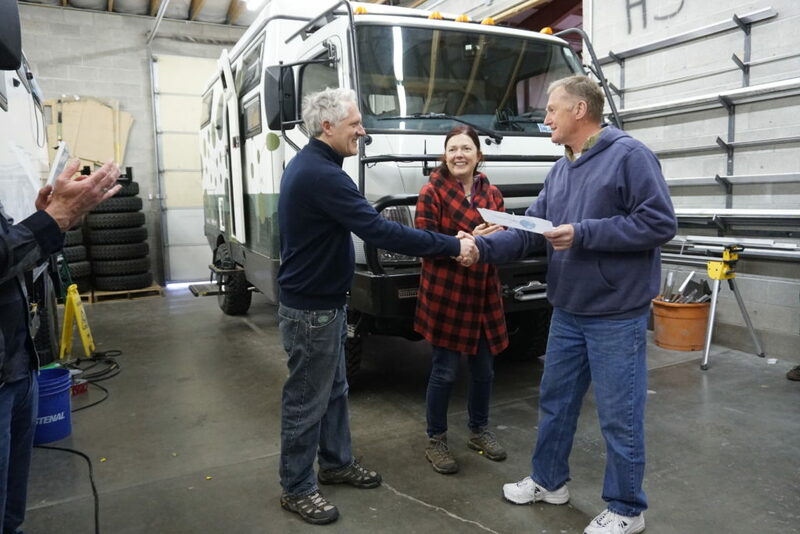 After all was checked and re-checked, Lance and Michele gathered round everyone who works at EarthCruiser. 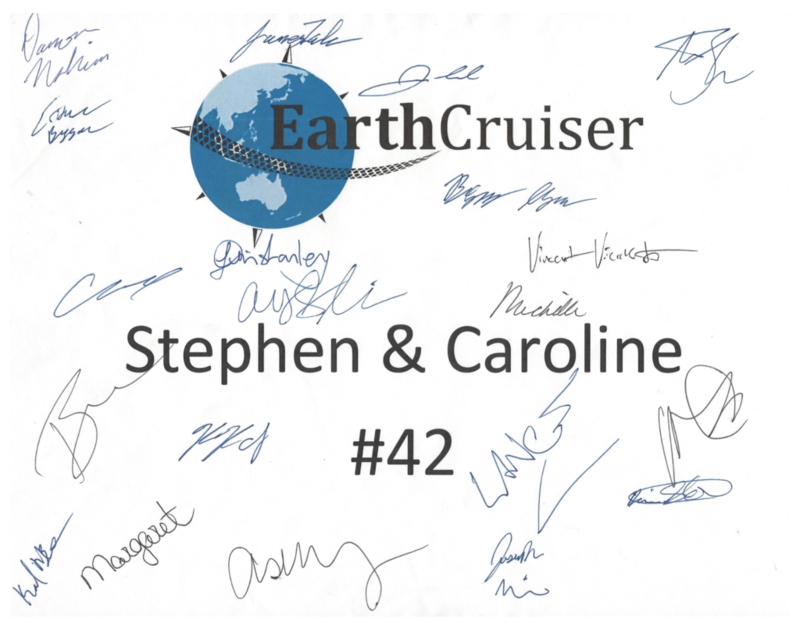 And then the moment had arrived: Molly got ‘her’ EarthCruiser sticker, and we also got the sheet of paper that had been on her windscreen during production and that had our names and the number 42 on it… signed by everyone. Lots of applause followed and we made sure we shook everyone’s hand. Without the effort of the whole team under the guidance of Lance and Michele, Molly would not exist. This was a very powerful moment as it signified Lance and the team handing Molly over to us and putting her into our care hence forth. 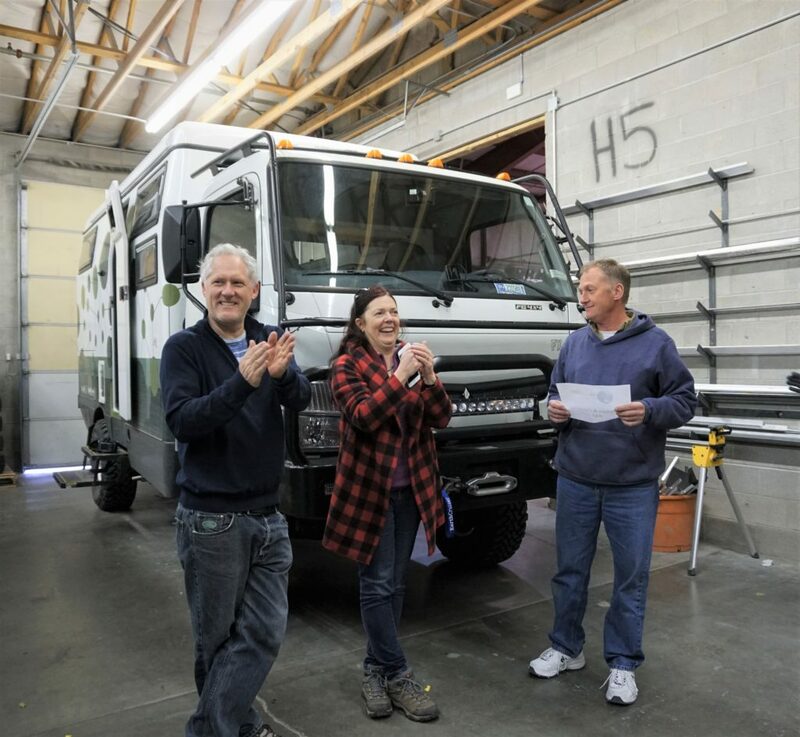 Moments later Stephen backed Molly out of the factory and on the road home we went; two incredibly happy puppies and proud owners of Molly42, our EarthCruiser FX. 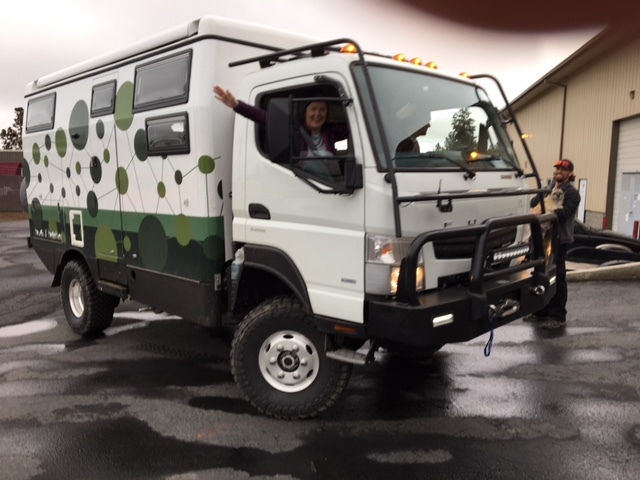 Thank You Everyone at EarthCruiser USA. 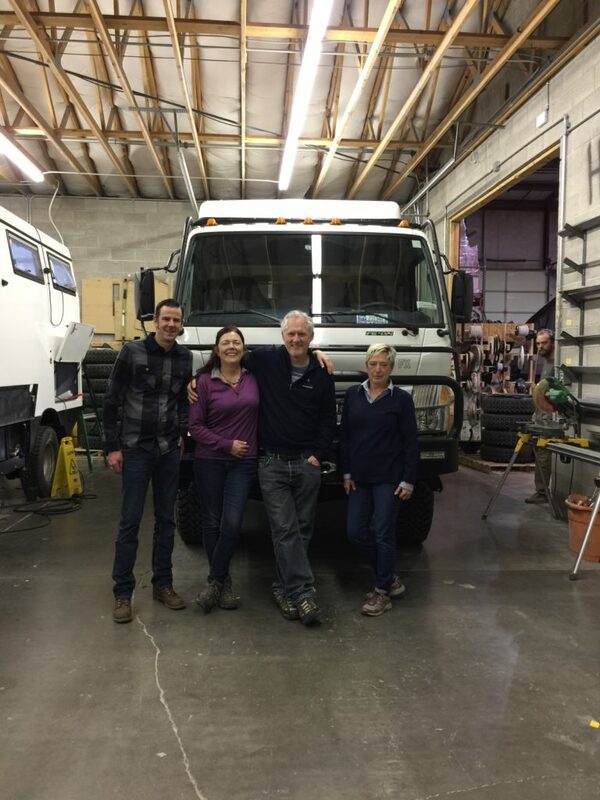 We look forward to seeing you at Overland Expo West! Stephen, Caroline and Lance. 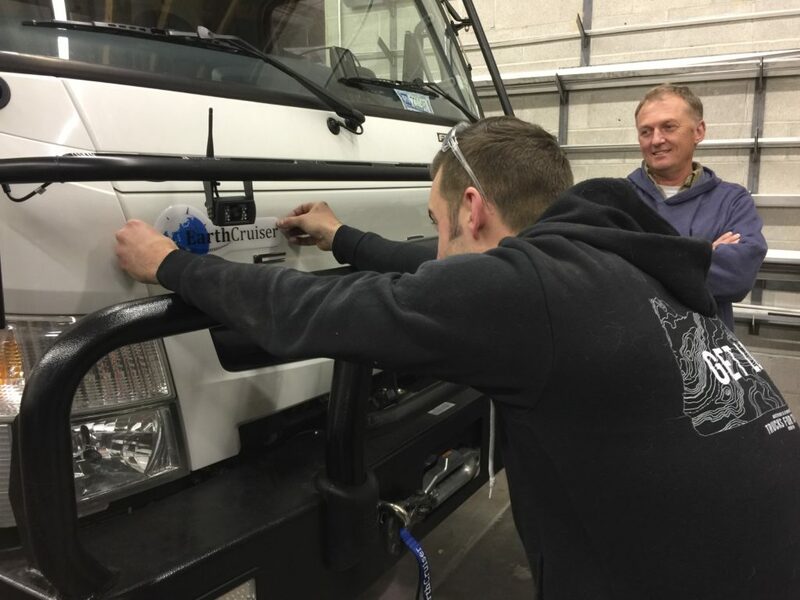 Photo courtesy of Ashton @ EarthCruiser. Official hand-over. Photo courtesy of Ashton @ EarthCruiser. 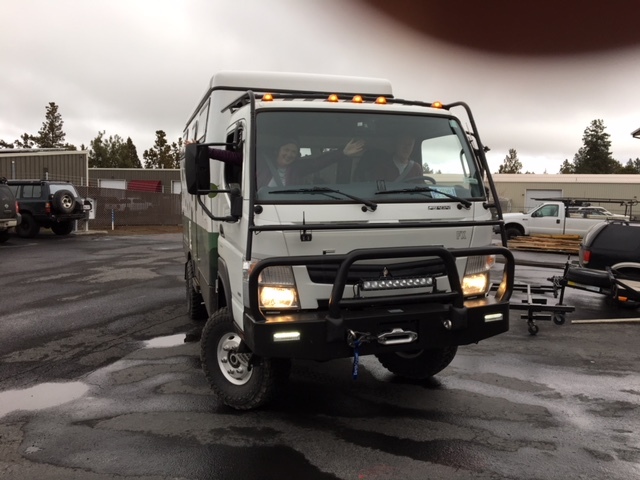 Driving our Molly out of the factory….. Photo courtesy of Anthony @ EarthCruiser. …. and into the wide world!!!!! 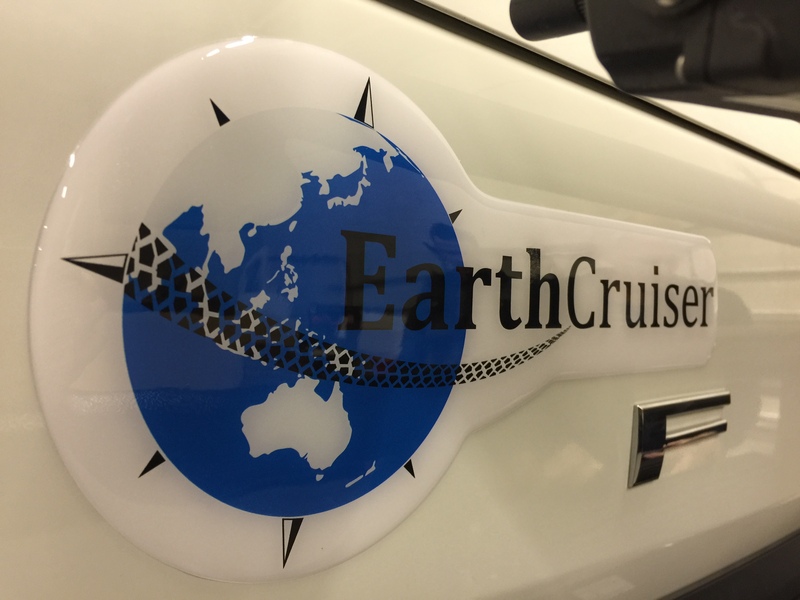 Photo courtesy of Anthony @ EarthCruiser.